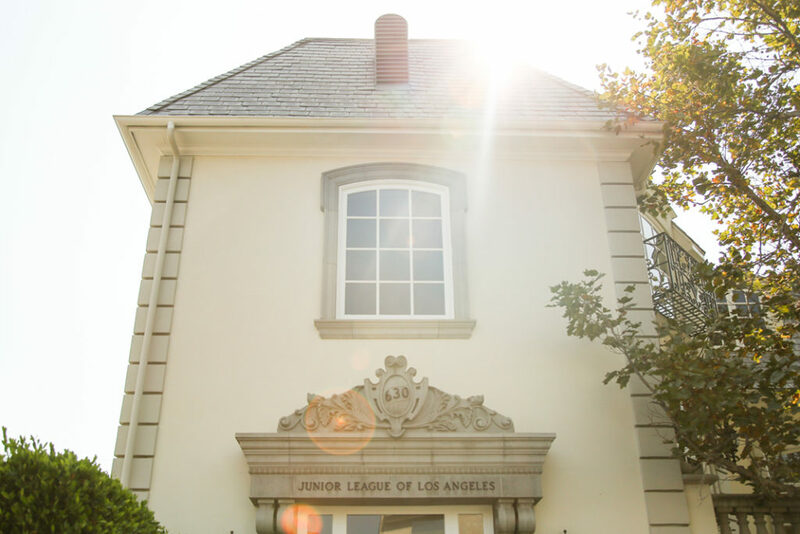 The Junior League of Los Angeles is housed in a two-story French Regency building known as Rainey House. Built in 1995, Rainey House is named for former League President Marjorie Hamlin Rainey, whose generous bequest provided the majority of the underwriting needed to construct the building. In 1995 the Junior League of Los Angeles moved into its permanent home, Rainey House, on Larchmont Boulevard. Prior to this, JLLA has served the community from rented or donated office space. From 1925 until 1970, a number of locations had been used including a room at the Beverly Hills Hotel. For the next 25 years, the League had been headquartered in 1,600 square feet of space at the Farmer’s Market, provided through the generosity of the Gilmore Corporation and Foundation. For many years, the Junior League dreamed of building a home of its own. To realize this dream, a feasibility study was conducted in 1986. And following the study, the Board of Directors began looking for a site on which to build the JLLA headquarters. The new headquarters would serve as a meeting place for members to collaborate with each other and with community leaders. After a thorough search and aided by the generosity of Grace Ford Salvatori and our membership, a home on 630 North Larchmont Boulevard was purchased. The site was chosen for its central location to many JLLA projects and services and as a way of demonstrating the League’s commitment to its continued presence in the heart of our city. In 1992, the League learned that Marjorie Hamlin Rainey, who had been President of Junior League in 1943, donated through her estate $1 million dollars for JLLA to construct a permanent headquarters. Groundbreaking for the new Junior League of Los Angeles home took place on November 16, 1993. The Dedication Ceremony for the Marjorie Hamlin Rainey Headquarters followed almost two years later on September 22, 1995.